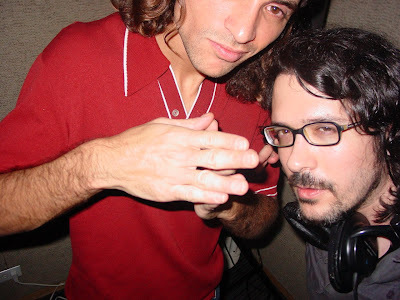 In 2005 a recently separated (from Poplife) Ray Milian wanted to explore the b-sides, new cuts, and rare grooves of underground and so-called indie and electronic music. To do so, he created at a weekly party, Off the Radar, at the then-newly minted Buck 15. Then there were several venue switches (the Marlin, Amendment 21, PS14, the Sandal Club), the advent of a music blog with longtime scenester Chris Mora, and the addition of promoter Jason "Man-Kitten" Jimenez in 2007, before a complete hiatus. Now, Off the Radar has landed at an extremely pleasant setting in the bar of the Standard, located on the grounds of the old Lido Spa on the Venetian Causeway (40 Island Avenue; Miami Beach). The setting is nicely appointed with a retro, living room-style lobby, and a dimly lit bar interior where DJ's Ray Milian, Danny Ashe, and Tom Wareham play their trade. Music is pumped throughout the lounge and lobby. Poolside chairs and a firepit also make for good smoke break spots, as there are no cigs allowed in the building. The no-cover night starts every Wednesday at 8 p.m. and ends at midnight, with most heading over afterwards to dirty Purdy to watch ex-Dear Starlet, (comma included in name) frontman, Joshy Josh spin more nostalgic cuts. Purdy is the best place to park for the evening, unless you want to valet at the Standard for seven bucks with validation. Expect rare, local, and cutting-edge hits (or should-have-been hits) from these guys, and prepare to be taken aback by the friendly vibe from a sometimes unfriendly scene. Thanks to Dominic & Miami New Times! Miami.com was out taking pictures of the party last night also. I'll post a link to those as soon as their up, plus the pics we took as well. I've been promoted to longtime scenester! Yes! I was wondering when I would make the jump from short timer. lol! i knew you'd get a kick from that..